The term copywriting often sends writers (especially creative writers) into a tailspin. But did you know that copywriting can improve your other kinds of writing? (Yes, even fiction.) And that studying poetry can help you write better copy? 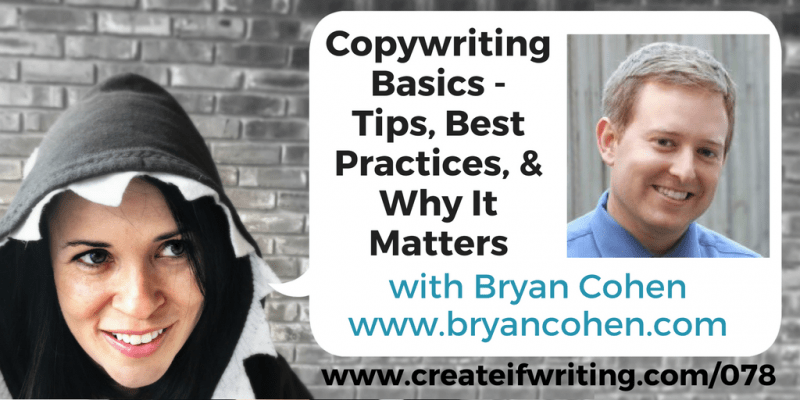 This interview with Bryan Cohen will help you rock those copywriting basics. Bryan Cohen is an author in several genres, a podcaster, and sits at the helm of Selling for Authors, a site dedicated to author training. You can read his fiction on Amazon or pick up his non-fiction such as How to Write a Sizzling Synopsis. You can listen to his podcasts, like the Sell More Books Show and the comedy podcast Something Nice to Say. Or find out more about Selling for Authors. Copywriting is targeted writing or writing with an agenda. That doesn’t mean it can’t have a particular style or voice, but that it has a specific PURPOSE designed to get someone to DO something. Why Do We Have a Mental Block about Copy? It’s a mix of attitude and bad reputation where people feel like it’s difficult, so it’s difficult for them. When you write a 60,000 word book, not every word or sentence is a winner. But when you write something shorter or more condensed like a book description or Facebook ad, everything needs to be gold. But it’s possible to not hate it and do it well. You CAN get better! The surprising thing that helped Bryan with his copy was studying poetry. When you have to pay attention to syllable and the sound of words and how they work together, you will become better. Great copy grabs your attention right away with a hook. It’s a hook related to that genre and the readers of that genre that you’re trying to reach. You have to make a connection to the readers that helps you sell more books or achieve your goals. It has to make the expectations for that particular situation. Our brains filter out the things that don’t matter to you because we can’t possibly take in all the information and data we encounter. If a piece of copy doesn’t match our expectations for the particular situation, we tune out. The next important part is the flow. You don’t want to set the expectations and then veer off into a strange place. The pieces need to fit together. Calls to action round out your copy. Calls to action are phrases that tell you to do something and without them, you are unlikely to see effective copy. People need a strong call to action at the end of copy. Why Should We Work to Improve Our Copy? 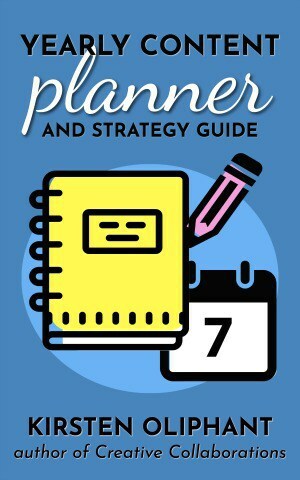 We should have the best covers for our books or design for our books or blogs or products, but people will have more points of contact with our writing. If we can work to improve our copy at these various points from sales pages to book descriptions, we can impact the response of our readers. What Are Practical Ways to Improve Copy? Forget the way you typically edit things where you write it and then go line by line. Write a handful different ideas (some of which are drastically different) for your hook and your call to action. 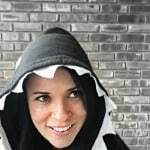 Often we make the mistake of falling in love with a line that’s problematic and slows down the whole process rather than coming up with five versions and then ditching the one that is slowing us down. Because we are often working with less text than longer-form content, we can actually play with each line, rewriting in different ways that can help us see it in a new way. Sound like a lot of work? 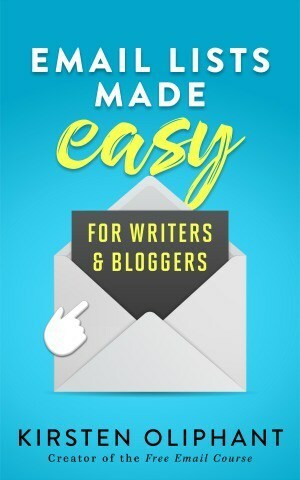 Start with the first line of your email, sales page, book description, or whatever. Write a lot of versions and choose the best one. 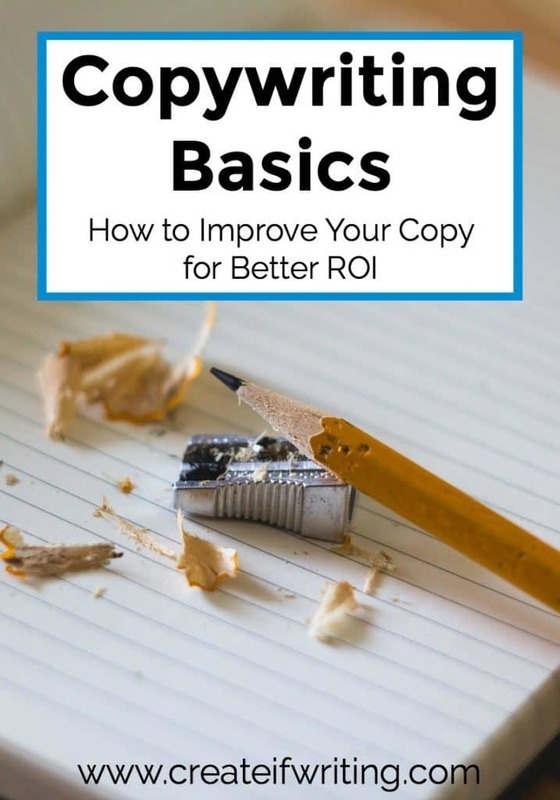 If you are planning to write a ton more books, you could learn to do it yourself and become a better copywriter AND writer as you value words a bit more. 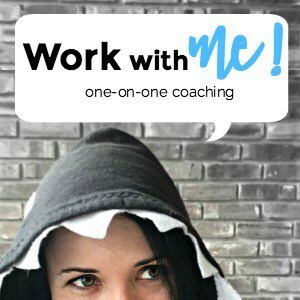 Learning through self-instruction or a course, you will save yourself money in the long run and become a better writer. But there is a time when you may want to focus on the things you do best and hire out. If you want to hire Bryan, find out more about his services here!